Waterproof, non-stretch plastic RFID wristband with tamper-evident adhesive closure. Available in 7 stock colors. Thermal print-on-demand surface is perfect for customizing individual wristbands with event dates, expiration dates, special offers, and bar codes. Features an RFID transponder and direct thermal print surface for on-demand printing and encoding. 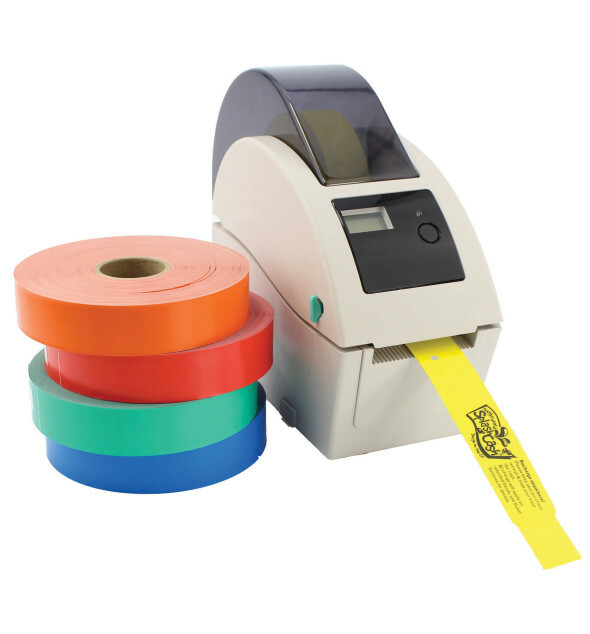 Program your facilities thermal printer to include your venue logo, event dates, expiration dates, special offers, and bar codes. Material: Constructed with direct thermal print surface with a secure and tamper-evident adhesive closure. Lead Time: Ships 15 business days. Waterproof, non-stretch plastic RFID wristband with tamper-evident adhesive closure. Comes pre-printed with your full color custom artwork. 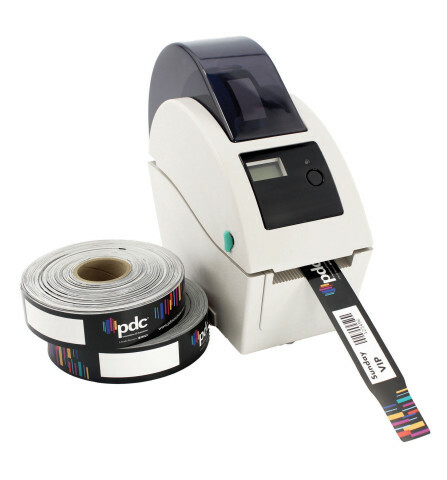 Thermal print-on-demand surface is perfect for customizing individual wristbands with event dates, expiration dates, special offers, and bar codes.